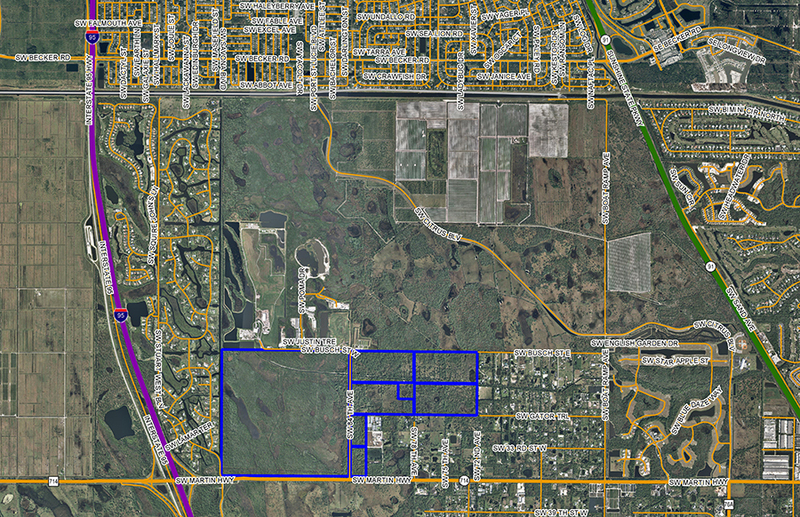 Located in Florida’s popular Treasure Coast area in the exclusive community of Palm City, the property is centered between access to major traffic corridors and excellent amenities in an expanding area of custom country homes. 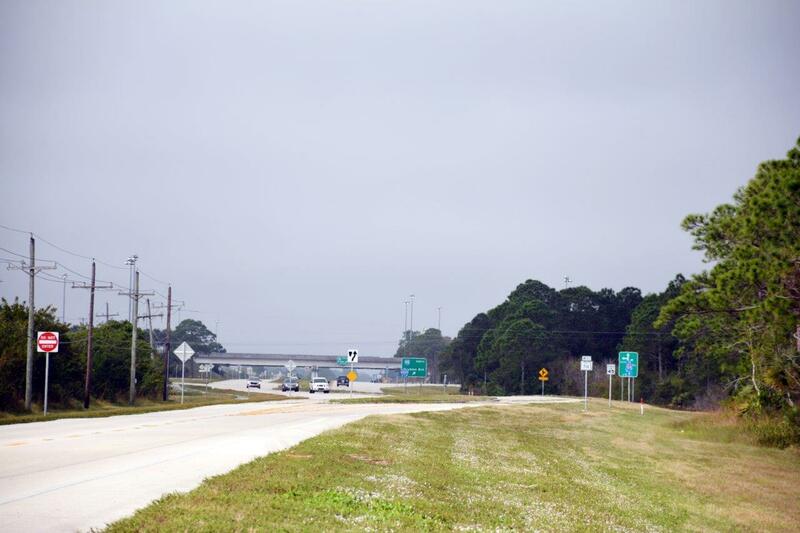 There are nearly four miles of frontage on paved, two-lane roads – it is only 1,000 +/- feet from the I­-95 and SR 714 interchange and just east of Cobblestone Country Club. 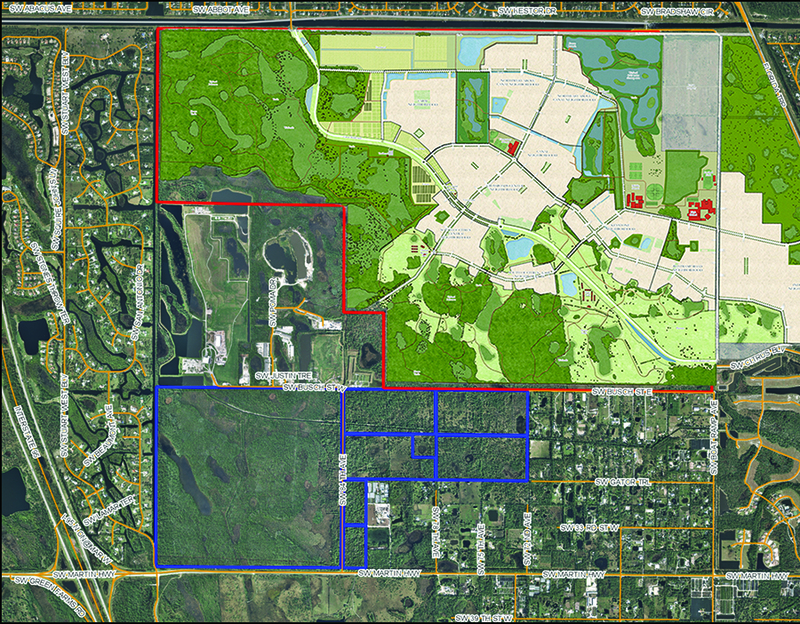 Ten minutes away is Port Saint Lucie’s Traditions Community, where you will find great shopping, dining, entertainment, events, a central retail district that includes Target and Publix, and a new hospital. 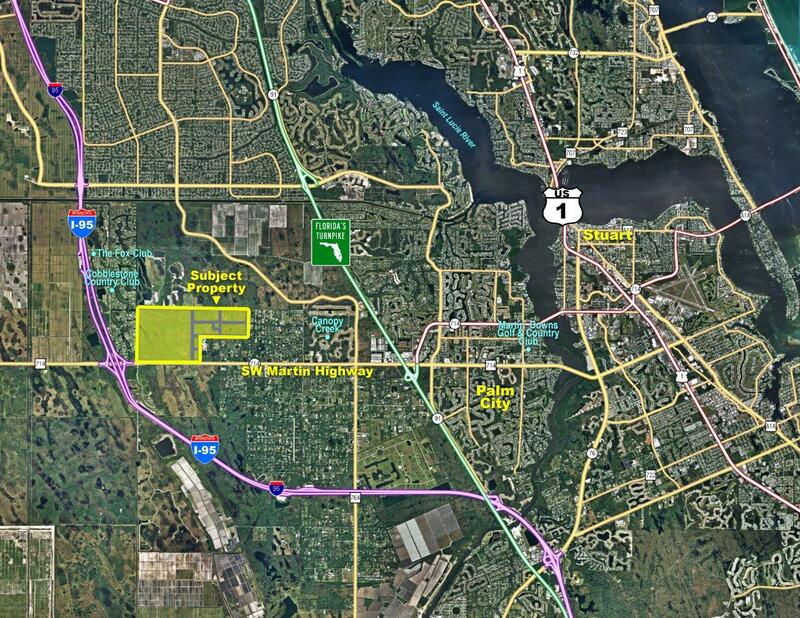 Five minutes to the east is Martin Downs Country Club, shopping and restaurants as well as direct access to the Florida Turnpike. 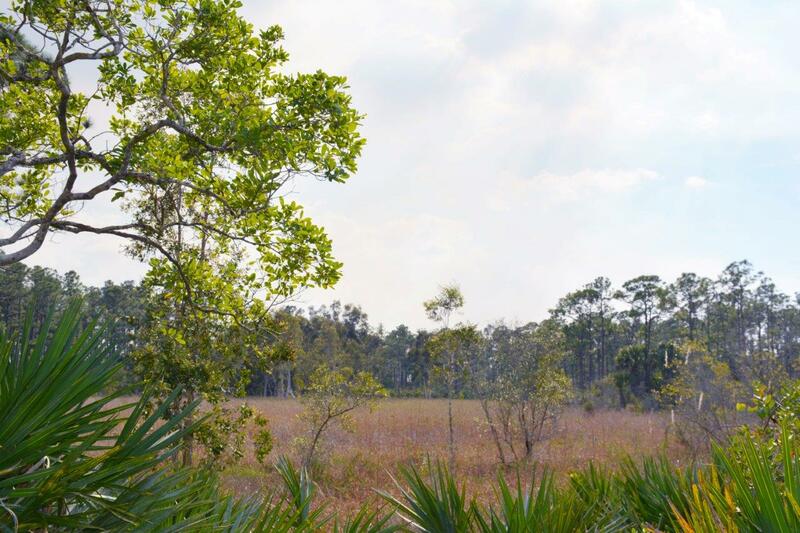 Because the property is one of the few large east coast tracts remaining in its beautiful natural state, this property provides a rare opportunity to develop an exquisite, upscale ranchette, equestrian, golf, or eco-friendly community. 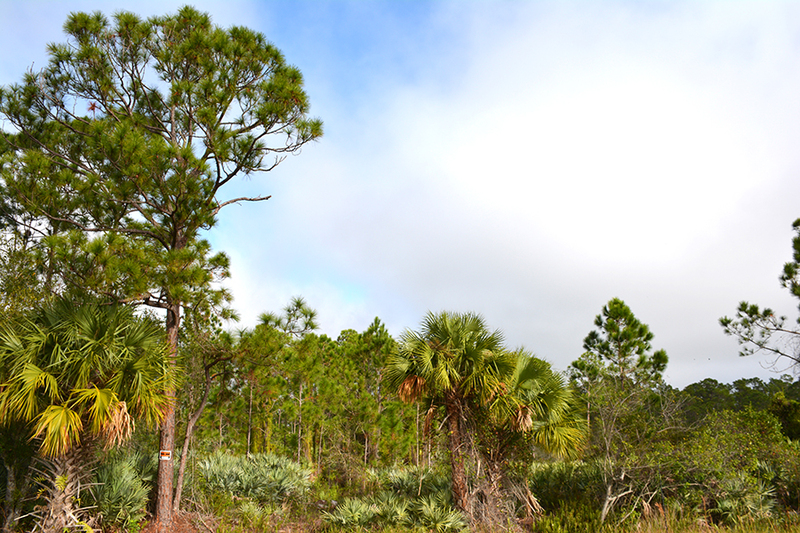 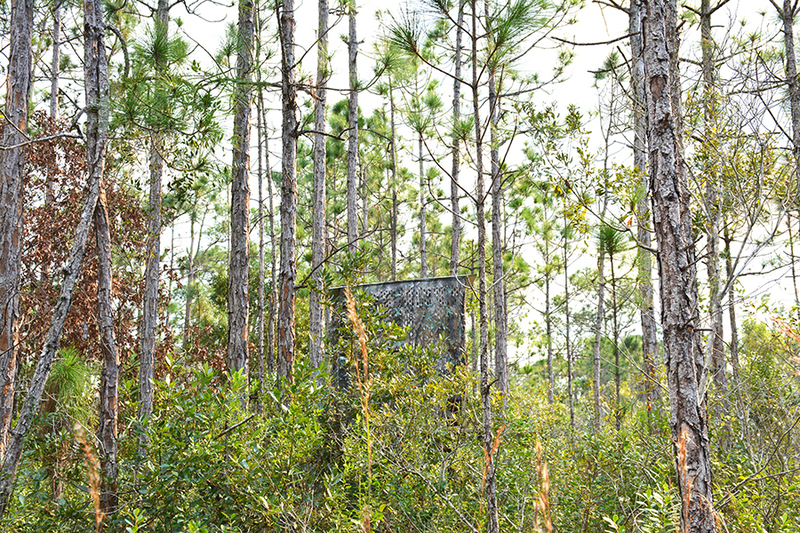 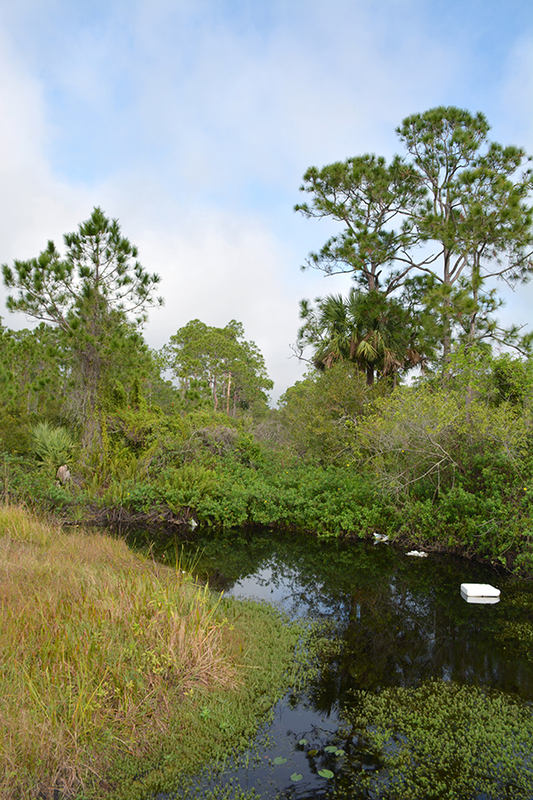 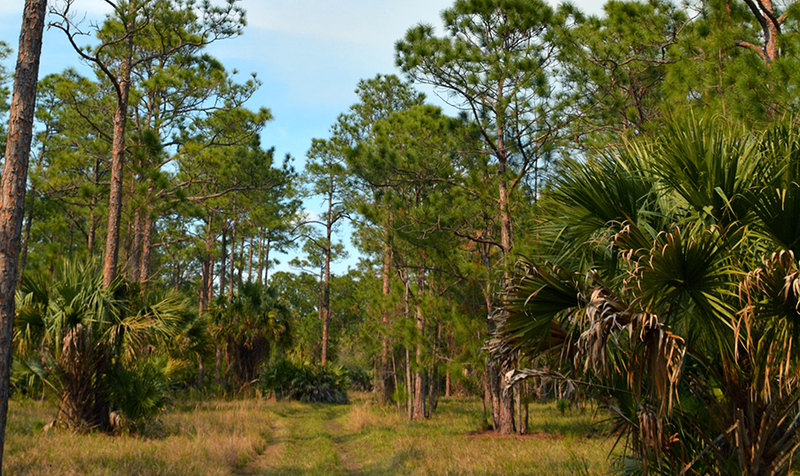 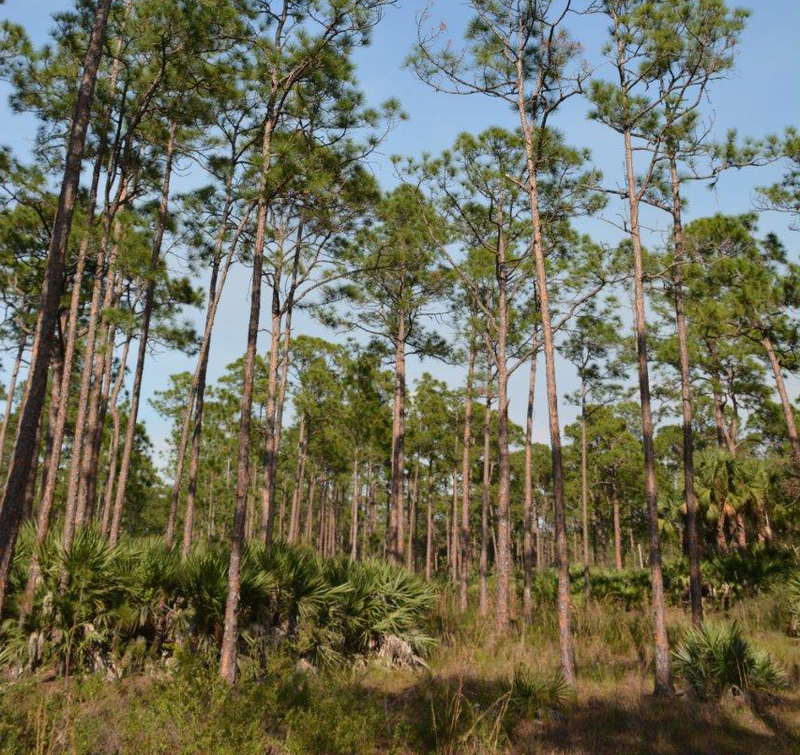 The peaceful natural setting of attractive native woods, pine, and palmetto make the property a natural habitat for some of Florida’s interesting wildlife and native flora. 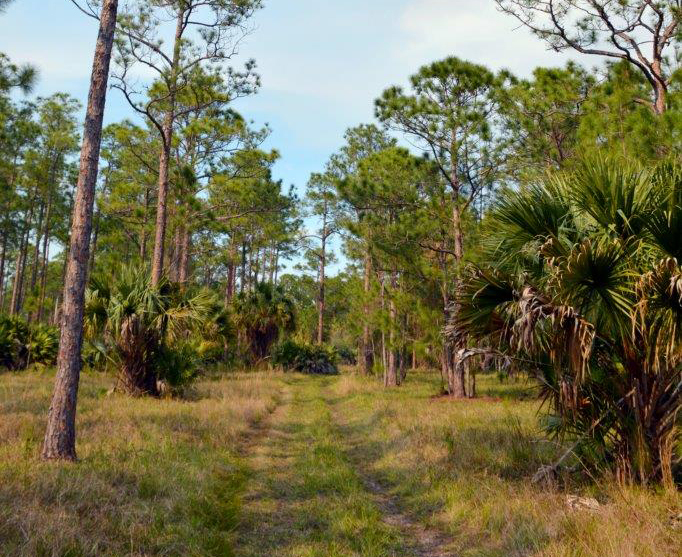 Current zoning for the property allows one unit to five acres – a great opportunity for creating larger upscale estate lots – ranchettes or equestrian estates! 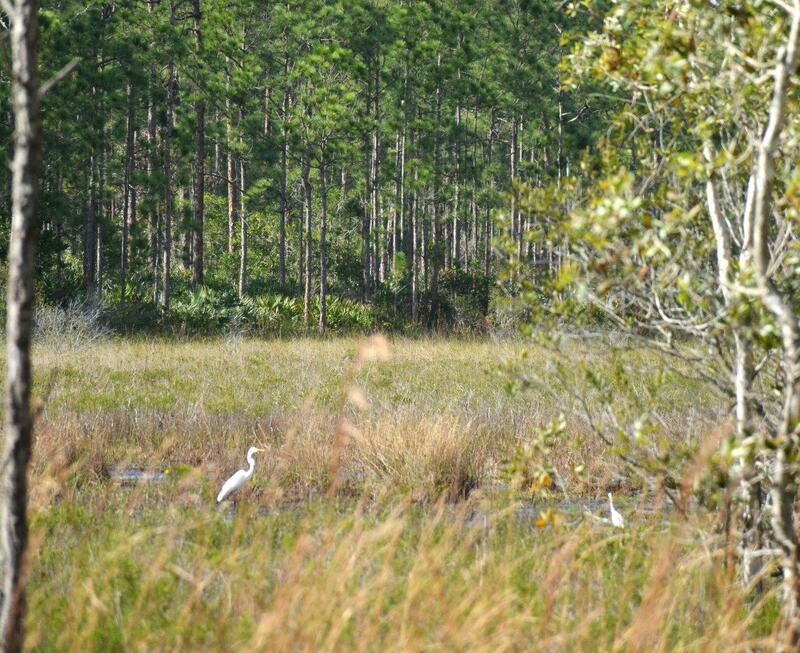 Or, consolidate the units on a smaller footprint creating beautiful large preserve areas for recreational uses or conservation. 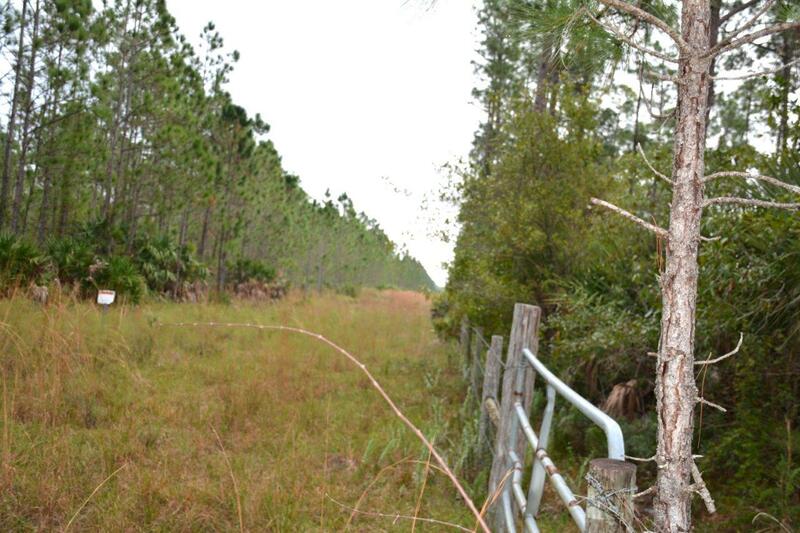 The current use for the property is cattle grazing and the property holds a current cattle lease. 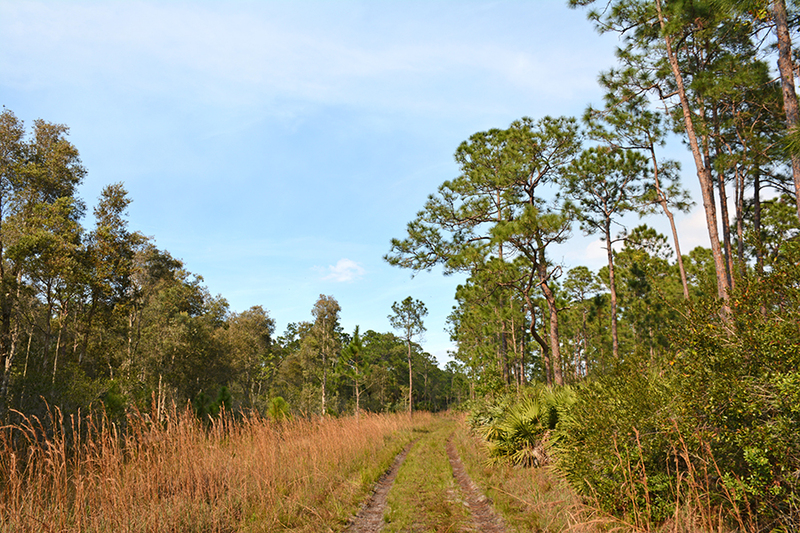 The existing agricultural exemption provides a very low carry cost for the long term investor, who may continue cattle grazing or even hunting and recreation on this tract until the time for development. 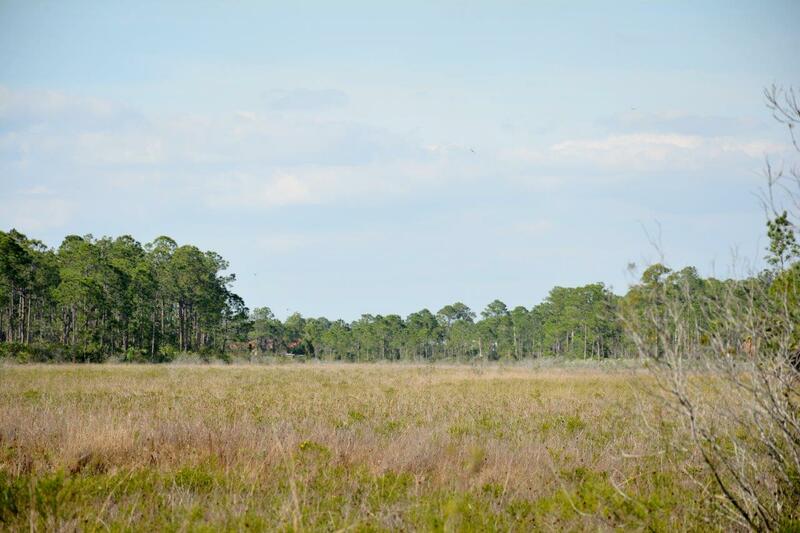 Driving Directions: ****GPS: 27.162977, ­-80.382175 ****Directions: From I­-95: take exit 110 (SW Martin Hwy/CR 714), travel east on CR 714 for 1/4 mile and property will be located on your left.